Leanne is Head of our Commercial Property Team, advising clients on both public and private sector aspects of commercial property law. Leanne has over 15 years’ experience acting for developers, investors, banks and institutional clients. Leanne’s areas of expertise include planning advice, land acquisition and disposal, commercial development, development finance and public sector advice. Her expertise includes advising on wayleave agreements and deeds of easements in relation to both existing and proposed developments and co-ordinating the agreement of service providers and third parties to ensure prompt connection and delivery of services. She is well known in the education and banking sectors and one of the partners in the firm who heads up an initiative to expand our offering in the education sector. 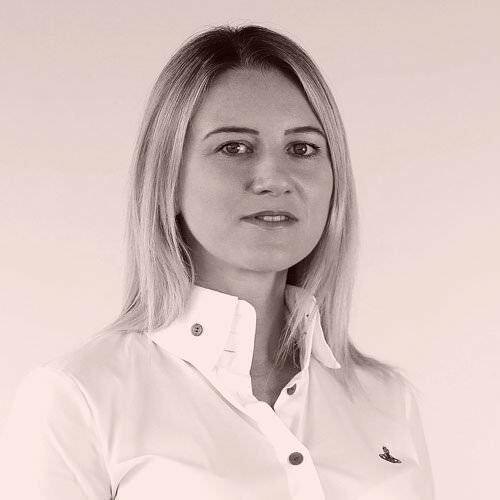 Leanne focuses on private sector clients with strategic development and complex joint venture requirements. She is currently advising on a significant scheme in Fareham and a number of agreements connected to sporting arenas/venues. Throughout a sometimes difficult process, Leanne showed an understanding of our needs as a charity. Leanne kept us fully informed, and her patience was valued. I would like to thank Leanne for all her help and would not hesitate to use her services and that of Capital Law again in the future. Advising a private healthcare provider on the acquisition of a greenfield site that was subsequently developed into a £25 million state of the art private hospital. Advising a joint initiative between ABP and the Welsh Development Agency, working to reclaim the former industrial site at Barry. Work involved agreeing to remediate contamination, regrade a 169 acre site, agree a Development Framework Plan, obtain outline planning permission, and agree a marketing strategy. The land was sold to a Consortium of housebuilders for residential and commercial development. Advised a developer on all aspects of numerous retail based construction projects securing lease arrangements with tenants such as Dominos Pizza, Tesco, Subway, Costa Coffee, Ladbrookes and Greggs. Advised a distribution company, on its diversification into a £1.4 million acquisition of land, including let properties. Acted for a further education college on the disposal of a campus to a housing developer. Advised a university on disposal matters associated with a campus, including a challenging hybrid planning consent which has generated a lot of public interest. Acted for Cardiff and Vale College in the acquisition of an extensive property portfolio of 21 commercial properties with a broad geographic spread, attached to the share purchase of ACT training company. Providing strategic advice to further education college in connection with its 120-acre landholding and the college’s property requirements flowing from sustainability issues associated with existing stock. Advised on the purchase of Wrexham FC’s racecourse and the Colliers Park Training Ground by Glyndwr University. Acted for the US pharmaceutical company in a complex re-gear of three existing leases and the taking of a new lease. Acting for a middle eastern developer in the acquisition of a 100acre brownfield site from a Welsh local authority to be used as a power station.